30cm x 23cm Acrylics on paper. Unframed. I’ve always liked the station waiting room at Cromford on the Derwent Valley Line. It’s tiny and looks like it’s a stray from some Bavarian village. 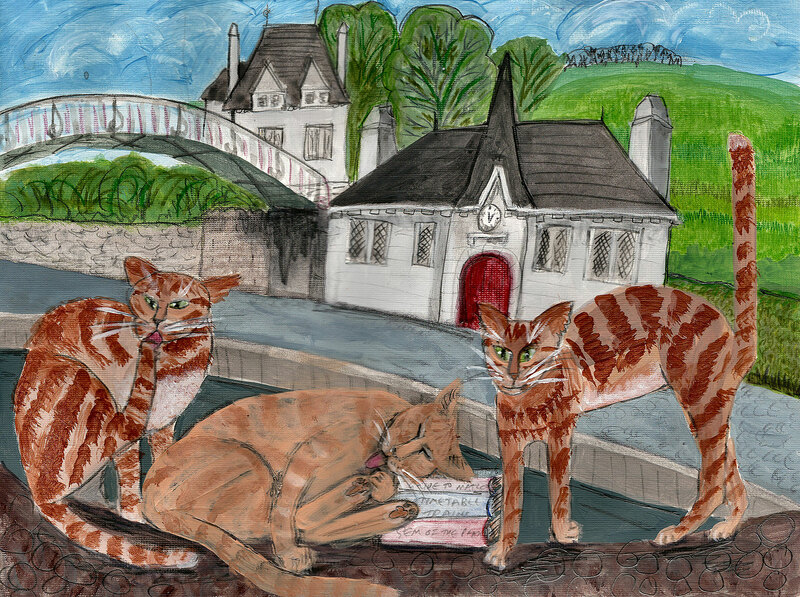 Here are three ‘gingers’ trainspotting, cat style.